Tourette syndrome is a neurological disorder defined by repetitive, involuntary movements and vocalizations, called tics. The condition is named for Dr. Georges Gilles de la Tourette, who first described it in 1885. Chances are if you’d asked someone 30 years ago, “What is Tourette syndrome?” the person would not know what to say. Yet, because the incidence of this condition has skyrocketed over the last few decades, especially in western countries, and the since the media has been giving it more attention, it’s now much more recognized. Once considered rare and unusual, Tourette syndrome is now considered “common.” Further, temporary or transient tics in childhood are “very common.” Current Opinion in Neurology (2003). The National Institute of Health estimates (2015) that in the USA 1 in 100 have a mild case of tics and 200,000 have a severe form of Tourette’s. However some research suggests these may be significant underestimates. A study of schoolchildren in and around Rochester, New York in 2001 revealed that nearly 20% of students in elementary through high school had some level of tics. The rate among students in special education classes was 27%. A second study found mild to severe tics in 24% of a student population in Washington, DC. 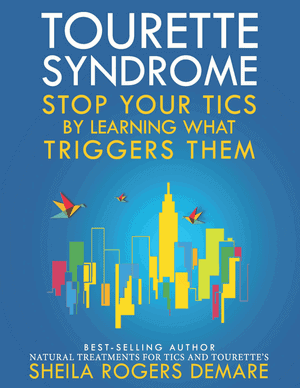 Symptoms of Tourette syndrome can negatively impact all areas of a person’s life. Tourette syndrome is usually diagnosed in childhood, but may begin later in life. Childhood tics often decrease after adolescence or early adulthood, while a smaller percentage must deal with the disorder into and through adulthood. Preschool children can experience Tourette syndrome, as can the elderly. Males are three or four times more likely to receive the diagnosis than females, and all ethnic groups can be affected. Although many millions of dollars have been spent in research over the past 40 years, the underlying causes of Tourette syndrome have not been clearly identified. Conventional medical efforts have focused on genetics, yet attempts to isolate the genes involved have failed to yield suitable treatments. 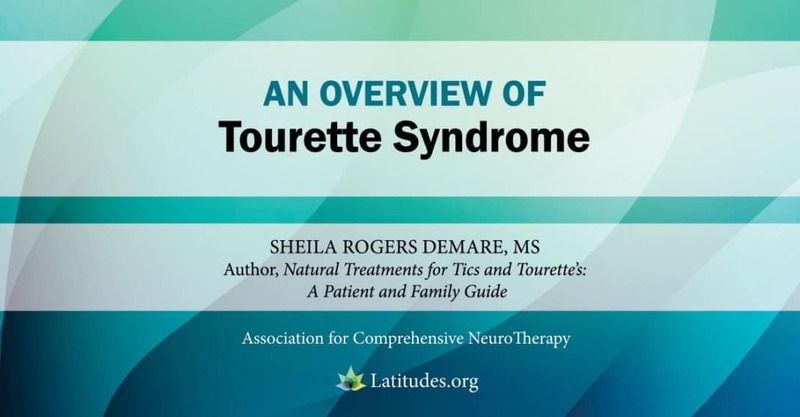 In this overview, symptoms of Tourette syndrome and related tic disorders are discussed along with diagnostic criteria, coexisting conditions, the role of the environment, social implications, and new directions for the Tourette community. Can tics in Tourette syndrome be suppressed or self-controlled? Patterns and types of tics vary greatly among those dealing with Tourette syndrome and other tic disorders. The categories of tics listed below are used by physicians to make a diagnosis. Tourette syndrome occurs on a spectrum. Many tic conditions are mild or short-lived, and the tics may be more of a nuisance than anything. At the other end of the spectrum vocal and/or motor tics can be highly disruptive, emotionally distressing, and even painful. Some tic movements, such as sniffing, blinking, shoulder shrugs, and neck jerks, are termed simple and only involve one muscle group. Complex tics, on the other hand, involve movements that use multiple muscle groups with coordinated movement. Examples of complex tics are twirling or jumping while walking, imitating someone’s actions, and touching objects. Tics can occur from head to foot. They can be as mild as an eye blink or severe enough to affect large muscles and knock someone from a chair. A simple motor, or movement tic, can be severe in its expression; simple does not imply that the tic has less impact on an individual than a complex tic. Tics can also involve a need to touch others, or distressing self-injurious behaviors, such as slapping oneself, playing with sharp objects, or touching hot items. Vocal tics may be barely noticeable, such as a light cough or hum. Yet, some are disruptive and embarrassing: a loud shout, yelp, squeal or scream, bark, repeating phrases just heard, or swearing—known as coprolalia. Fortunately, only a small percentage of people with Tourette’s experience coprolalia, although the media focuses on it. People often feel a sensory urge to tic that has been described by some as similar to the need to scratch an itch. After ticcing there is usually a sensation of released tension. The ability to recognize a sensory urge to tic increases with age; children younger than ten years are thought to be much less aware of that urge. Tic symptoms tend to come and go, within a given day or across weeks, days, and even years. The type of tic, intensity or severity, frequency, and area of the body affected can vary. Please see our section on Waxing and waning of symptoms. Most recently, the role of the immune system in Tourette’s and tics is being investigated including in pediatric autoimmune disorders, the most well known being PANDAS (Pediatric Autoimmune Neuropsychiatric Disorders Associated with Streptococcal Infections). Tics can occur as a reaction to a number of bacterial and viral infections, including Lyme disease. Key advocacy groups and mainstream medicine have emphasized that Tourette’s is “genetic” and “mysterious,” and that there is little that patients or families can do to address symptoms beyond reducing stress and trying medications. Yet is well recognized that the prescribed medications can often have undesirable side effects, are not well safety tested for children, and may not be effective. This leaves those dealing with Tourette’s with few options. Evidence gathered by the Association for Comprehensive NeuroTherapy (ACN) reports that the widely repeated “facts” that Tourette’s is primarily genetic and little can be done for symptoms is a harmful misunderstanding. ACN has reported a connection between Tourette’s and environmental factors for more than 20 years. These factors include issues like diet; allergens such as dust, mold, pollens, and dander; exposure to commercially scented products and toxic chemicals; visual stimuli, heat and other sensory factors, bacterial and viral infections, and many more. These findings open new doors to the prevention and treatment of the disorder, yet research for Tourette’s has not explored these areas. ACN has documented environmental triggers that have a significant impact on many in the Tourette community. Once the potential for these triggers is understood, patients and families have a better chance of intervening and controlling tics without, or with less, standard medication. Researchers and practitioners often approach Tourette’s as if everyone who meets the criteria for a diagnosis, based on a short checklist of symptoms, must have the same physical condition related to the symptoms. Little research has been done to define biological subgroups for Tourette syndrome. Further, physicians typically do not go beyond making the diagnosis. They often assume it is a genetic problem and stop there. A thorough physical exam that looks at nutritional status, immune/allergy issues, possible underlying infections, the health of the digestive tract, or hidden infection is rarely conducted. It’s much like treating everyone who complains of chest pain and shortness of breath with the same approach, without investigating what may actually be causing the symptoms. Please see “Pitfalls of diagnosing tic disorders and Tourette syndrome with checklists” in this article. The American Psychiatric Association’s Diagnostic and Statistical Manual of Mental Disorders, Fifth Edition (DSM-5) is used by health professionals to help diagnose tic disorders. The tic disorders differ from each other in terms of the type of tic present (motor or vocal, or a combination of both), and how long the symptoms have been occurring. People with Tourette’s have both motor and vocal tics, and have had tic symptoms for at least 1 year. People with persistent motor or vocal tic disorders have either motor or vocal tics, and have had tic symptoms for at least 1 year. The criteria presented below are in modified form to make them more accessible to the general public. They are listed for information purposes only and should not be used for self-diagnosis. If you are concerned about any of the symptoms listed, you should consult a trained health care provider with experience in diagnosing and treating tic disorders. Reference from CDC: American Psychiatric Association: Diagnostic and Statistical Manual of Mental Disorders, 5th edition. Arlington, VA., American Psychiatric Association. No laboratory or neurological examination is used to determine a diagnosis of Tourette syndrome. Typically, a professional takes a medical history along with a description of the pattern and nature of tics using the checklists described above. A diagnosis is made after excluding other conditions that could cause tics or symptoms similar to Tourette’s. To some extent, having a label for a set of symptoms can be reassuring. People know they are not alone, and they feel they have a professional opinion on what they are dealing with. They can also learn what medications might be helpful. But there is also a downside to providing diagnostic labels for tic disorders. They don’t give the full answer needed. Typically, once a diagnosis is given by a physician, and medication options are explored, that’s basically the end game. Neither the patient nor the doctor knows why someone has symptoms of Tourette’s. Sadly, this diagnosis can last a lifetime without a comprehensive physical examination ever being conducted. Further, families and even children are often told “there is no cure” for people with the diagnosis of Tourette’s. Our organization points out that it is difficult to find a “cure” for someone when no efforts are made to discover the causes of the central nervous system imbalance—causes that could potentially be corrected. In our book, Natural Treatments for Tics and Tourette‘s” A Patient and Family Guide, a mother described how they moved beyond a diagnostic label of Tourette syndrome to using an approach that looked for causes of symptoms. Desperate for answers beyond drugs, she had taken her young son, who was having severe symptoms and had been diagnosed by a respected neurologist, to an integrative physician. This opened up a new thought process and approach for the family. The child was successfully treated for nutritional imbalances, chemical and food sensitivities, and allergies. They were taught how to avoid triggers that aggravated symptoms. For this particular youngster, these issues had been causing inflammation of the nervous system and brain, resulting in a variety of serious symptoms that fell under the “label” of Tourette syndrome. Many other physicians, patients and families have had similar experiences of recovery with this type of integrative approach. Until the medical community starts looking at why someone has tics and other symptoms associated with Tourette syndrome, biological subgroups among tic disorders will not be identified, and many patients will continue to suffer. In the United States, approximately half of children with Tourette syndrome also have attention deficit disorder with hyperactivity (ADHD). Researchers estimate that more than half of those with Tourette’s have learning problems and/or obsessive-compulsive disorder. Anxiety and panic attacks, separation anxiety, and depression are also common. Behavioral difficulties and mood swings are frequently reported, adding to the difficulty of targeting treatment. Trichotillomania (involuntary hair-pulling) occurs at higher than average rates among those with Tourette’s. Sleep problems, bedwetting, and numerous other complaints are also frequently reported. Research suggests that patients with Tourette’s have a nearly fourfold increased occurrence of migraine headache compared with the general population. At times, dealing with these coexisting conditions can be as difficult for the patient and family as the tics themselves, if not more so. Our organization (ACN Latitudes) encourages considering at all existing conditions and symptoms when developing a comprehensive approach to address tics. The percentage of overlap among different conditions is too high to be dismissed as a coincidence. A physical examination related to the coexisting conditions can yield valuable clues to underlying causes of tics and Tourette syndrome. For example, if someone has chronic stomach or gastrointestinal complaints, headache, or bed-wetting along with tics, there is a good chance the symptoms are linked. Rather than assuming these co-existing symptoms are occurring as a coincidence—or that they are happening because the person is upset about having tics and that is causing the other conditions (this has been suggested in the literature)—a physician should first look for related physical imbalances that tie the symptoms together and treat those issues. Tics are typically described as involuntary. There’s often a feeling that a tic “has to be done” to relieve a sense of tension. Tics have sometimes been described as a sensory urge that must be acted on. Yet, there’s a great deal of individuality in how tics are dealt with among people of all ages. Many people report being able to withhold, or postpone tics for short periods, but the tics are usually “released” in some fashion later. The ability to sense, or experience an urge to tic helps allow for this adjustment. Many people with tics become experts at disguising associated movements so they appear more natural. For example, a person might make a motion to brush hair out of the face in order to make a neck jerk seem intentional. Considerable energy and attention are needed to withhold or disguise tics. Doing so can increase stress and result in physical and emotional fatigue. When children withhold tics during school, they may end up releasing them in an explosive and emotionally stressful manner at home. For example, a student may try to focus on not ticcing in front of peers and manage to exercise some control. Yet later, the tics may “have to come out” and at this point the tics may be intensified. This release could occur in a more private location, such as in a restroom or hallway at school, or once home in a socially safe setting. There is no consensus, though, as to whether suppressed tics will truly intensify or “rebound” for a given individual. Cognitive behavior therapy, a treatment approach that combines cognitive, or thinking techniques, with behavior therapy, is gaining in popularity. Given the strong connection between mental stress and tics, cognitive behavior therapy is a logical approach for treating tic disorders, and recent research supports its use. Habit reversal training is a related approach. Hypnosis has also been used with success in some individuals. Not everyone is a suitable candidate for these types of self-help approaches. When we hear the word environment, the first things to pop in the mind may be things like recycling, pollution, or global-warming. But in medicine, the term refers to influences that go beyond genetics. These can range from things like maternal issues—like did Mom smoke or have a nutritional deficiency?—to what someone ate for breakfast, the perfume a teacher is wearing, mold in the basement, an emotional upset, medications being taken, or a new cat in the house. And those are just a few examples of many, many factors that can fall under the heading of environmental influences. Research confirms that environmental factors play a role in the development of Tourette syndrome. For example, two identical twins can have the same genetic predisposition for a tic disorder, but it is their lifestyles or experiences that determine how the genes for each twin are expressed. Unfortunately, scientific and medical communities have been shockingly slow to show interest in this area. Compared to many other medical conditions, research to document environmental factors in Tourette syndrome is glaring in its absence. 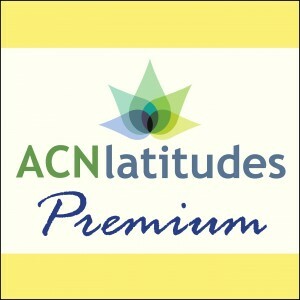 By failing to study and promote the importance of environmental factors in Tourette’s, and by not informing physicians and families of the value in exploring a possible connection between the environment and personal symptoms, ACN Latitudes believes millions of people have suffered unnecessarily. One of the first things a patient or family dealing with tics hears from a professional, or reads in the literature, is the term “waxing and waning.” This refers to the fact that the types of tics often change over time, and the frequency and intensity of the tics tend to change also. You may have heard the question, “What makes her tick?” The spelling is different, but that’s the issue! What makes a person tic? What accounts for the fact that symptoms are sometimes better and sometimes worse? This roller coaster pattern of tic symptoms is actually encouraging because it means the body is capable of periods when tics are in relative remission. The goal should be to learn how to extend and improve those periods of remission and to prevent conditions that aggravate symptoms. Several years ago, ACN surveyed patients and families with tics and Tourette syndrome to gain information on any nonconventional therapies they were using. The results were published: “Nutritional Supplements and Complementary/Alternative Medicine in Tourette Syndrome” (Journal of Child Adolescent Psychopharmacology 2004;14:582–89). In 2003, we launched a different survey online to get feedback on personal triggers for tics—factors that can initiate or increase tic symptoms. The survey, which was concluded in 2004, documents that something as simple and common as orange juice, flashing lights, or contact with chlorine can make someone’s tics worse. Each person is different, and triggers vary. More than 1700 people participated in our survey, and a first-ever comprehensive list of potential triggers was documented. Natural Treatments for Tics and Tourette’s: A Family and Patient Guide shares detailed information on numerous environmental factors determined by our survey that can trigger tics, and guidance is provided on how to address these issues. Far more work is needed to further identify the role of the environment in tic disorders, from conception through daily life. In the meantime, the book Stop Your Tics by Learning What Triggers Them shares key factors families and physicians can consider when trying to unravel environmental causes for tics. Check out the list, and you will see there is a wide range of items. The Association for Comprehensive Therapy urges people to “demystify” the concept of waxing and waning in tic disorders. When tics flare, rather than think, “Oh no, the @%&# tics are waxing again!” you should assume a cause and effect relationship. After all, cause and effect is the law of the universe. Was it something you ate, breathed, smelled, or touched? Was it stress? Excitement? A bacterial or viral infection? A parasite? Do you have a nutritional imbalance? If you start sneezing, don’t you usually wonder what made you sneeze? If you get a stomach ache, don’t you ask yourself why? People should do the same things with tics flare up. Once there’s an understanding of how a variety of triggers may be playing a role in a tic disorder, including Tourette syndrome, efforts can be made to track down causes of specific symptoms. Sometimes the cause will be easily identified. Other times professional help may be needed. And it is possible that in some cases the cause may remain undiscovered. But without looking for answers, without taking an investigative approach to waxing and waning, one misses a tremendous opportunity to improve symptoms. For decades, environmental physicians have promoted the concept of “brain allergy,” a condition in which the brain is the target organ for an allergic or immune response. The condition was well described by William H Philpott, MD, in his book Brain Allergies, first printed in 1980 and updated in 2000. This concept has not traditionally been accepted by conventional medicine. Much of our organization’s work has involved collecting related data and raising awareness of the importance of the immune system and central nervous system allergic response in tic symptoms. In recent years, scientists have made new discoveries linking the autoimmune/inflammatory process to the development of tic symptoms and the onset of obsessive-compulsive disorder following a streptococcus (strep throat) infection. This condition is referred to by the acronym PANDAS. This comparatively recent discovery resulted from groundbreaking work by Susan Swedo, MD, of the National Institute of Mental Health, and her colleagues. The concept was extended to include other types of infection: Pediatric Acute-onset Neuropsychiatric Syndrome (PANS). Presently, PANDAS/PANS is considered to be a separate category from classic tic disorders or Tourette syndrome. Whether this separate status will continue remains to be seen. Dr. Swedo’s discovery has opened the door for research into the immune system as an important player in tic symptoms and obsessive compulsive disorder. If you believe the tic disorder you are encountering might be a result of infection, or if symptoms developed in a dramatic and sudden manner, request that your physician consider this possibility. See our introductory booklet on this topic for more information. In 2005, James Leckman, MD, and colleagues at Yale University School of Medicine completed research on tics and Tourette’s that documents the immune system’s inflammatory response and its involvement with tics. New research shows a possible connection between a maternal history of autoimmune disease the later development of Tourette’s in offspring, particularly males. The need to define subsets among those who react to strep infection with neurological reactions also underscores the role of the immune system and tic disorders. Inflammation in the digestive tract can directly affect brain and nerve function. 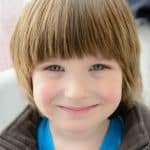 Recent research into autism and ADHD focuses on the gut-brain connection. It is hoped that research for Tourette’s will soon follow suit. See Importance of Immune Imbalance and Autoimmunity in Nervous System Disorders by Dr. Vijendra Singh. Increased public awareness of Tourette’s in many parts of the world has helped remove some of the stigma associated with the condition. Yet life can be far from easy for those affected. The implications infiltrate relationships, classroom functioning, studies, behavior, physical activities, career, and leisure time. Physical reactions such as fatigue and pain in in the body from repeat or forceful ticcing can be very troublesome. While IQ is not affected by Tourette’s, the condition poses special challenges at both the social and academic level. Many youngsters and even adults may withdraw from social situations due to embarrassment, or they avoid specific situations that they believe will trigger tics. Students find it challenging to achieve at the rate they might if they did not have tics; they spend time and energy trying to modify tics or conceal them from classmates. Plus it’s naturally difficult to concentrate on work while physical tics result in movement the head, eyes, hands or entire body. In fact it’s remarkable that some high-achieving students with Tourette’s accomplish as much as they do. Vocal tics can make speaking in front of the class difficult. At other times, motor and vocal tics draw the attention of school staff and this can result in reprimands or discipline by those who do not understand the condition. A study has shown that people dealing with Tourette’s experienced significantly more “victimization” than normal, yet many staff members were unaware that the students were being bullied or teased. Suitable adaptations in a school setting, based on individual needs, can make a significant impact and pave the way for success that would not otherwise be possible. Families and school staff should be aware of the legal obligation for public schools to develop 504 plans and Individual Educational Plans in the USA; there are similar efforts in some other countries. The goal is to work with the school, family and student to maximize accommodations available to youngsters with Tourette’s, tic disorders and related conditions. The treatment of tics has undergone dramatic change during the last century. Initially, psychologic dysfunction was thought to be the cause of tic disorders; the focus was on counseling and psychotherapy. Then, in the 1960s, scientists found a medical, or biological basis, for the condition; clinicians began to prescribe medications to suppress tics, treating the brain and nervous system. Scientists determined that an abnormal metabolism of the neurotransmitter dopamine and/or serotonin could be involved. This resulted in improved tic control, yet the medications for Tourette syndrome used then—and now—are strong, often untested in children, and may have serious side effects. We will address the topic of treatment in a separate article. Briefly, medications to subdue tics fall into a few main categories. 1) Drugs such that block or deplete dopamine (a neurotransmitter) in the brain; 2) Central adrenergic inhibitor drugs that are usually prescribed for high blood pressure. 3) Botulinum toxin injections into the offending muscle(s). Other medications such as antidepressants that help to reduce symptoms of anxiety and obsessive compulsive disorder may be prescribed when the conditions overlap. Antipsychotics are also used by mainstream medicine. Since subsets for people with tic disorders have yet to be identified, it is difficult to pinpoint which medications will be most effective and least harmful for a given person. Due to the potential side effects and the lack of long-term studies on their use in children, many parents are reluctant to go this route unless absolutely necessary. Biofeedback, cognitive behavior therapy, and hypnosis are being used by a small percentage of the Tourette population in an effort to help control tics without using medication. Others are using complementary or alternative medicine approaches, some of which are included below. Those wishing to avoid drugs to subdue tics have often turned to integrative approaches. Among many of those approaches: nutritional support; immune/allergy therapies; identifying and avoiding triggers for tics; dietary change; and testing for and treating biological imbalances. Individual needs vary, and there is no single protocol that works for everyone. But positive results have been reported by many patients, families, and physicians, allowing them to avoid or reduce standard medications typically used to subdue tics and other Tourette symptoms. We will be summarizing and give details on these efforts soon in a separate article. In the meantime we hope you will take advantage of material on our website www.Latitudes.org that focuses on new directions for neurological health. We realize individual reports, whether from physicians or patients, do not take the place of comprehensive studies. However, new directions and research into new medical findings often begin with case discoveries. Since there has been little interest by the medical community to pursue research into the integrative areas that families and physicians have been reporting helpful for Tourette’s, the public is left to decide whether to consider new directions that do not rely on typical drugs, or wait decades for research to catch up. 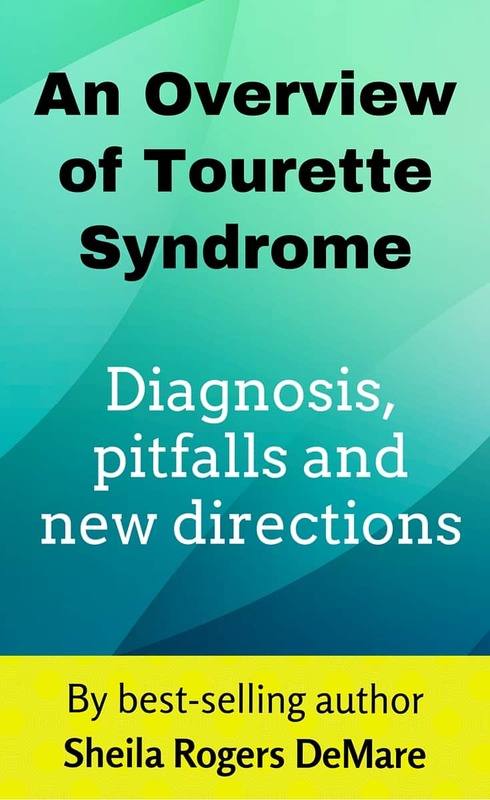 Hopefully in the near future when people ask “What is Tourette syndrome?” they will be told that a number of tic conditions fall under the umbrella of this commonly used label. Those specific conditions have yet to be defined. Yet, by taking a comprehensive integrative approach to uncovering the causes for the symptoms, many people can be treated safely and effectively without strong medications. See other accounts on our site, physician articles, and related research. ACN Latitudes (Association for Comprehensive NeuroTherapy) has launched the fundraising initiative Stop Tics Today to focus on new treatments for Tourette syndrome and related tic disorders. We hope you will join our efforts to jump start the research into safer and more effective approaches to these conditions. Studies are so desperately needed.